I always thought life life as fish would be good but I never imagined it to be this good. 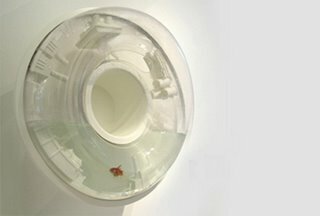 The flying fish bowl by Shay Alkalay is a large wall mounted fish bowl with rotating 3D scenery. See more images at www.shayalkalay.com.